We are our own worst enemies and our own best friends: We can tear ourselves down in an instant, or build something wondrous together – a notion that’s becoming increasingly apparent in 2018’s heated sociopolitical climate. No matter what you believe or how you feel about today’s issues, it’s clear that humanity holds its own destiny in its hands, and that the outcome can swing in either direction. Dark and beautiful, Carmanah’s bittersweet “Water Falling” music video is a melodically rich, lyrically intense critique of our innate propensity to help and hurt ourselves, both as individuals and as a society. 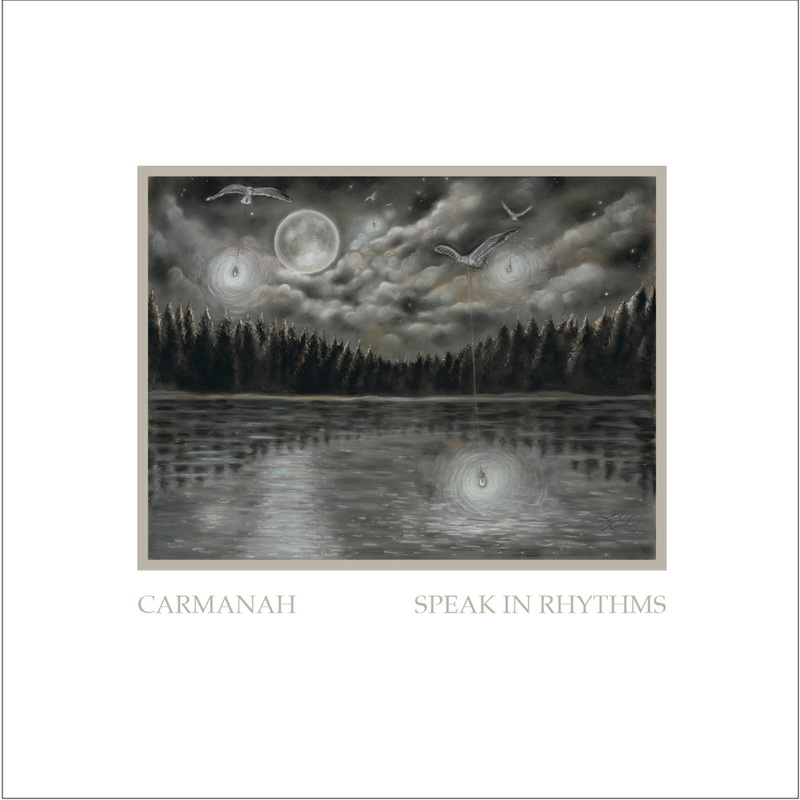 Atwood Magazine is proud to be premiering the music video for “Water Falling,” off Carmanah’s recently-released debut album Speak in Rhythms (independently out Feb 9, 2018). Dubbed ‘West Coast Soul‘ by their producer Gus Van Go, Vancouver’s Carmanah joins singer and songwriter Laura Mitic with Pat Ferguson, Marek Olsen, Mikey Baker and Nick Laba in a vibrant collision of passionate emotions, folk warmth and soulful charm. They don a “vintage sound” but feel distinctly embedded in the present – a testament to the strength of Mitic’s lyrics, as well as the band’s collective ear for strong melodies. “Water Falling” has a slow, rhythmic flow about it, but we don’t feel that same ease in Carmanah’s music video. Rather, the band-directed visual captures the urgency of the song’s lyrics – lyrics that speak to humanity’s collective ability to band together and help one another, as well as our ability to hurt each other. “Water falling, water falling, water falling down,” Mitic hypnotically sings in the chorus, her voice donning a melancholic tilt as she despairs over our many inherent, selfish flaws. Filmed by a thick woods in Victoria, British Columbia, “Water Falling” couldn’t tell its story better: We watch a group of men and women run frantically out of the woods and straight into a lake. One by one, they make it to a wooden raft in the middle of the water, helping each other until everyone is safe and on-board. Things take a quick turn, however, as their close proximity breeds arguments that turn them on one another. Their verbal arguments become physical, and the men and women who gave each other a helping hand now find themselves pushing each other off the raft. 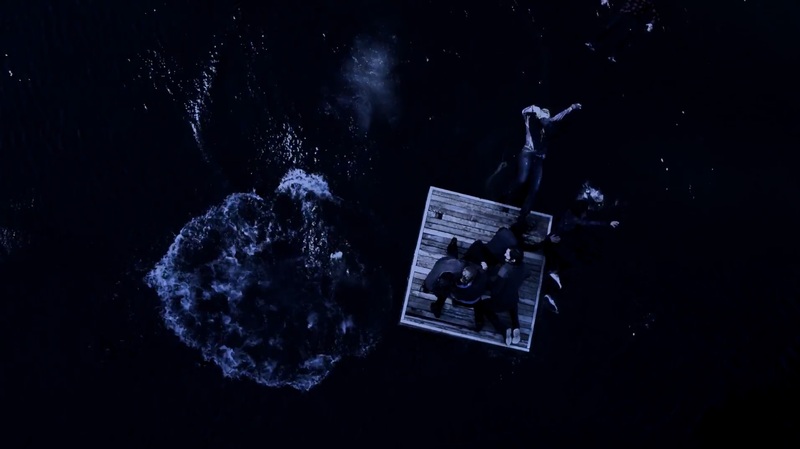 Carmanah close with the last person falling into the water, pushed into the depths by her fellow person. We’re left to wonder: Is this our collective fate? Are we destined to push one another into the water as well? Carmanah are certainly making a name for themselves, and fast! Check out their Canadian tour dates below (they play Toronto’s Rivoli on March 14! ), and stream their evocative “Water Falling” music video exclusively on Atwood Magazine.